CSC of Salinas and CSC of Yuma are committed to understanding and meeting your hydraulic and agricultural needs while providing great customer service and the highest quality products. CSC of Salinas and CSC of Yuma specialize in hydraulic hoses and equipment for the agricultural and industrial industry. We are a certified Parker distributor and carry the latest in Parker hoses and equipment. With our highly trained staff and large assortment of products, you can be certain that you will find the product you are looking for. 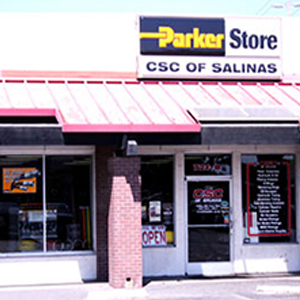 At CSC of Salinas and CSC of Yuma, we pride ourselves in providing great customer service, high quality products, and a knowledgeable staff to fulfill your hydraulic needs.